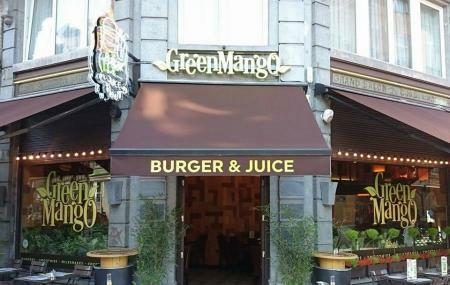 If you love hamburgers then you will be more than delighted to visit the Green Mango. It is a hamburger restaurant. Here you can get to taste various kinds of burgers that come with surprisingly tasty fillings. Apart from burgers, the restaurant also serves platters like salads, soups, and drinks of several kinds. You must not skip the smoothies that this restaurant serves. The environment of the restaurant is very warm and colourful and above all, it is peaceful where you can have a word and enjoy quality time with your dear one. The staff serves the tasty platters in a creative way. The food here is reasonably priced and always guarantee to satisfy your expectations. Explore Green Mango and other prime spots of the city using Brussels trip planner. Book perfect hotels in Brussels like Boutique Hotel Saint-gÃÃÃ‚ƒÂ©ry, Dansaert Hotel and Atlas Hotel Brussels. If you want to add the visit to Green Mango in your trip, you can choose from the variety of Brussels vacation packages that can be designed to suit your preferences. These packages also cover your major concern of how to reach Brussels. Great burgers! The mojito was huge and delicious too. Service great and price is totally correct. Big choice of burger. Will definitely come back to taste others! Very good burgers in a nice environment. The cocktails are tasty too. Need to make a reservation though. At green mango you can find nice food and a confortable place.